Beyond all else, the single trait that characterizes Burt Bacharach's music is deeply felt emotion coupled with an astonishing ability to evoke profound feelings of love, joy, sorrow, yearning and loss though his work in a wide variety of genres. It is a direct result of not only great talent and a drive for perfection but also his unique musical background. He is one of the most respected and gifted writers, the kind whose like we will probably never see again. Genius is a term too often bandied around in the modern world, but in his case it is totally deserved. Born in Kansas City, Missouri on 12th May 1928, Burt Bacharach grew up in Forest Hills, an upper middle suburb of New York City. Although Bacharach began taking piano lessons at the age of eight, his musical breakthrough came at fifteen years old when he began sneaking into Manhattan's jazz clubs to see both Dizzy Gillespie and the Count Basie Band perform. Forming a band with four classmates at Forest Hills High School, Bacharach began playing at school dances. He also started listening to French Impressionist composers like Claude Debussy and Maurice Ravel whose influence can be heard in much of his later work. After graduating, Bacharach attended McGill University in Montreal where he studied with a piano teacher who had been trained by the noted composer and violinist Paul Hindemith. After his second year at McGill, Bacharach went to California to study with the noted avant-garde classical composer Darius Milhaud who had taught and become a major influence in the career of a young Dave Brubeck. Deciding not to return to McGill University for his third year, Bacharach was drafted into the United States Army during the Korean War. Returning to New York City after he was discharged, Bacharach studied with the Czech violinist and modern classical composer Bohuslav Martinu as well as Henry Cowell, the American pianist, music theorist, and composer who had been one of George Gershwin's music teachers. Deciding to become a songwriter, Bacharach began working in the famed Brill Building for Famous Music, a division of Paramount Pictures. It was there that Bacharach met and began collaborating with lyricist Hal David. During this period, Bacharach also toured the world with the legendary film star and chanteuse Marlene Dietrich as her arranger, piano accompanist, and conductor. In 1965 Burt flew to London to record his first solo album for Kapp Records. Along with hits like 'Don't Make Me Over,' 'Walk On By,' 'Anyone Who Had A Heart,' 'Wives and Lovers,' and 'Twenty Four Hours From Tulsa,' Burt decided to cut 'Trains and Boats and Planes,' a song he and Hal David had written for Gene Pitney that he had not liked enough to record. With all the vocals done by The Breakways who would later sing backing vocals for Jimi Hendrix on 'Hey, Joe,' Burt played piano on the album accompanied by Jimmy Page, yes Led Zeppelin's guitarist, and Big Jim Sullivan on guitar as well as several members of the Ted Heath band. Although The Hitmaker album only sold thirty five hundred copies in the United States, it went to No.3 in the UK. Burt's version of 'Trains and Boats and Planes' made No.4 on the singles charts. Shortly after the recording when Burt and his girlfriend (later wife) Angie Dickinson checked into the Dorchester Hotel, she ran into her old friend, the film producer Charlie Feldman. Looking for someone to score a movie he had just finished shooting, Feldman asked Dickinson if her new boyfriend could do the job. Although Burt had never done such work before, Dickinson assured Feldman that he could. Under tremendous pressure to get the score done so the movie could open in New York, he came up with the basis for the melody of 'What's New, Pussycat?' When he recorded the song with Tom Jones, Burt had five upright pianos in the studio. Two of them were tack pianos with tacks or nails on the hammers so they made a honky-tonk sound when they hit the strings. It became a huge hit and was then nominated for an Academy Award for Best Original Song in 1965. His second album, Reach Out, which came out on A&M in 1967, sold a hundred and thirty five thousand copies in nine months. Two years later he followed it with the album, Make It Easy On Yourself, which aside from the title song includes, 'This Guy's In Love With You' and 'I'll Never Fall In Love Again'. 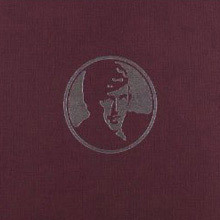 In 1971, Burt Bacharach, an album of more hits along with the interesting 'And The People Were With Her', a suite for orchestra also featured Cissy Houston, Whitney's mother, on several tracks. More solo albums followed during the 1970s, including, Living Together, Futures and In Concert; much of the material from Burt's A&M albums can be found on the collection, Something Big: The Complete A&M Years...And More! Four years later, Dionne Warwick's version of Bacharach and Sager's 'That's What Friends Are For' went to No.1 on the American charts and raised $3 million dollars for AIDS research. It was Billboard's number one single for 1986; it won a Grammy for Best Pop Performance by a Duo or Group with Vocal as well as the Grammy for Song of the Year. In 2003 Burt collaborated with Ronald Isley on the album, Here I am, Isley Meets Bacharach; it is one of those rare gems that has largely gone overlooked. Isley's soulful voice under-pinned by Burt's piano and beautiful arrangements is perfect. 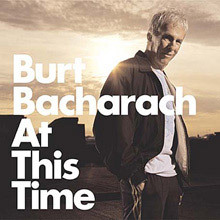 In 2005, Bacharach did a solo album called At This Time on which he used drum loops by Dr. Dre and in 2006 it won a Grammy for Best Pop Instrumental album. Three years later Live at the Sydney Opera House is a fabulous musical panorama of Burt's hits. Backed by a large orchestra and singers it is the perfect replica of Bacharach's touring show. On May 7th, 2012, Bacharach and Hal David became the first songwriting duo to be given the prestigious Library of Congress Gershwin Prize for Popular Song. Â Bacharach continues to be revered by generations of younger musicians who grew up listening to his songs; Donald Fagen of Steely Dan praised Bacharach for his combination of 'Ravel-like harmony and street corner soul.' Noel Gallagher, the former lead singer of Oasis, said 'This Guy's In Love With You' is the best love song ever written. Burt Bacharach continues composing and performing in concerts all over the world at a pace that many far younger men would find impossible to sustain. His ability to do so is a direct result not only of his great talent and unique musical background but also an unceasing drive for perfection. 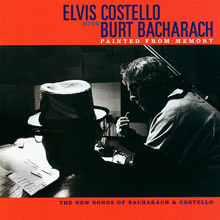 Elvis Costello and Burt Bacharach first collaborated on "God Give Me Strength," a sweeping ballad that functioned as the centerpiece in Allison Anders' Grace of My Heart. It was a stunning song in the tradition of Bacharach's classic '60s work and it was successful enough that the composers decided to collaborate on a full album, Painted from Memory. Wisely, they chose to work within the stylistic parameters of Bacharach's '60s material, but Painted from Memory never sounds like a stylistic exercise. Instead, it's a return to form for both artists. Bacharach hasn't written such graceful, powerful melodies since his glory days, and Costello hasn't crafted such a fully realized album since King of America. It's a testament to both that even if the album is clearly in Bacharach's territory, it feels like a genuine collaboration. Often, the music not only evokes the spirit of Dionne Warwick, it's reminiscent of Elvis' torching ballads for Trust. Costello keeps Bacharach from his schmaltzier tendencies, and Bacharach keeps Costello from overwriting. With its lush arrangements, sighing brass and strings, gentle pianos, and backing vocals, it's clearly a classicist album, yet it sounds utterly timeless. Its melodies are immediate, its emotions subtle, its impact lasting -- and, with that timeless sound, Painted from Memory illustrates that craft cannot only be its own reward, it can be genuinely moving. Burt Bacharach's second album will either delight or sorely disappoint modern listeners, depending upon how aware they are of who he really is. It's easy to forget, amidst his '90s revival, that Bacharach was never fundamentally a "rock" songwriter. 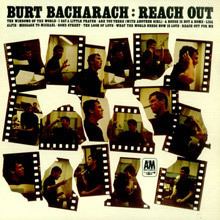 Reach Out was reissued in 1995, just as Bacharach's star was rising among more mature rock listeners. Parts of this album do aspire to a kind of big-band pop soulfulness. The rest is quasi-jazz of the light variety, very cleanly and carefully arranged by the composer, who tends to emphasize the obvious. A lot of what is here is very basic, well played but displaying no dazzling interpretive details. That's often a risk when a composer interprets his own work -- frequently, it is the outside personality, the performance specialist rather than the composer, who picks up the hidden and unusual sides of a score. Some listeners will also be thrown by the presence of "Lisa," a throwback to pre-'60s pop. But that is a valid part of what Bacharach was about -- he grew up in an environment in which big-band jazz represented mainstream music, and was aspiring to make it as a pop composer when rock & roll hit. So it should be expected that he would have had an affinity for elegant pop music, which he would indulge on his first album for a soft-jazz and pop label like A&M. Reach Out isn't a Rosetta Stone to understanding his music, but it does present Bacharach's vision of his work at its most straightforward, and it is enjoyable on its own terms, as a snapshot of his own sensibilities at that time. Make It Easy on Yourself is a puzzling record. Some tracks are instrumental, some feature session vocalists, and Bacharach himself sings only one track. Still, the album is a lesson in great songwriting. Bacharach's charm is his skill in dealing with abstracts. Songs that aren't immediately pleasing to the ear grow on the listener. "I'll Never Fall in Love Again," and "Do You Know the Way to San Jose?" are great songs that solidify Bacharach as a master of quirk. 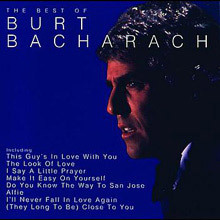 Burt Bacharach - Hit Maker! Composer and arranger Burt Bacharach is perhaps best known for his work with lyricist Hal David. The pair practically unleashed an entire subgenre of pop music beginning in the late '50s. After racking up numerous hits for other folks -- notably female vocalists Dionne Warwick stateside and Dusty Springfield in England -- the artist began exploring his considerable back catalog. While living in London in the early '60s, Bacharach recorded his first collection of Bacharach/David songs, aptly titled Hit Maker! (1965). As the package was issued under the Burt Bacharach moniker, many thought that the tunes would actually feature him singing and playing. Instead, the slightly updated arrangements are scored for a decidedly more discerning and mature ear. Although listeners would never know it by the practically ersatz interpretations, future Led Zeppelin members and mid-'60s London recording session musicians Jimmy Page and John Paul Jones were contributors to the likes of "Walk on By," "Don't Make Me Over," "Blue on Blue," "(There's) Always Something There to Remind Me," "Wives and Lovers," and "Anyone Who Had a Heart." In the context of those familiar melodies, some of the second-tier selections, such as "And So Goodbye, My Love," "The Last One to Be Loved," and "Saturday Sunshine" are among the most memorable. Hit Maker! became just that in the U.K., as the album rocketed into the Top Ten and the single "Trains and Boats and Planes" took off after being aired on BBC Radio, eventually spending 11 weeks on the charts. The unqualified success didn't translate stateside, even though the package was reissued -- with some slight modifications -- twice, first as The Man! Burt Bacharach -- His Songs (1965) and then several years later as Burt Bacharach Plays His Hits (1969). Nearly four decades later, Hit Maker! was included -- along with a rare mono version of "Saturday Sunshine" from the same time frame -- as part of the limited-edition five-disc Something Big: The Complete A&aM Years...And More (1994) box set. Listeners looking for the sultry vocals of Dionne Warwick, the genial delivery of B.J. Thomas, or the impossibly even tone of Karen Carpenter will throw their hands up in the air a few songs into A&M's Best of Burt Bacharach, as none of these 20 classic Bacharach compositions are the ones that casual fans will be familiar with. That said, hearing "What the World Needs Now Is Love," "Raindrops Keep Falling on My Head," "(They Long to Be) Close to You," and "Trains and Boats and Planes" presented in their instrumental, choral, and occasionally sung (by the man himself) forms really brings out their lounge/cocktail vibe, resulting in the perfect tonic after a long day at work, or the audio equivalent of a Tom Collins. 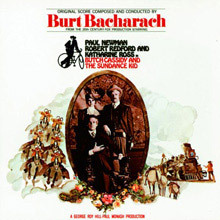 In spite of its short length (26 minutes), Bacharach's Butch Cassidy &amp; the Sundance Kid soundtrack is still a fine release. Many fans will be pleased to see one of his biggest hits here, the B.J. Thomas vehicle "Raindrops Keep Falling on My Head" (augmented by an instrumental and additional vocal version that add little). What's really intriguing, though, are the various instrumental settings for the film: the densely arranged, yet infectious opener "The Sundance Kid"; a languid bossa nova "Not Goin' Home Anymore" (Brazil goes way out west? ); the raucous, vaudevillian production number "The Old Fun City"; and a soaring, Ennio Morricone-inspired ballad "Come Touch the Sun" (with its golden-toned trumpet solo, it's particularly reminiscent of Morricone's Once Upon a Time in the West soundtrack). The top number here, though, is "South American Getaway." With its beautifully layered choral harmonies, briskly swinging waltz rhythm, and hauntingly beautiful solo vocal (another Morricone touch), it, in fact, stands as one of Bacahrach's best. These instrumental tracks offer a nice contrast to Bacharach's more well-known pop vocal hits of the '60s and make Butch Cassidy and the Sundance Kid a must for both the casual and dedicated fan. And to make this soundtrack even more of a worthwhile purchase, it hopefully will be re-released as part of disc with another of Bacharach's late-'60s soundtracks like Casino Royale. Burt Bacharach - Something Big: The Complete A&M Years...And More! The title Something Big: The Complete A&M Years...And More (2004) pretty well sums up the embarrassment of riches contained within this compendium. 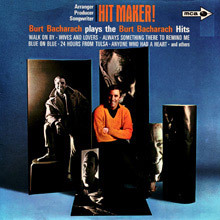 Even while working -- usually with then-partner Hal David (lyrics) -- to create hits for other artists, Burt Bacharach (piano/vocals/arranger) was well on his way to becoming arguably the most gifted and successful pop music composer/arranger of the latter 20th century. Likewise -- as the 109 selections on these five discs certainly bear out -- Bacharach also invested a significant part of his profession actively recording and touring as a solo act. Although there have been a multitude of woefully incomplete anthologies issued on CD, for the first time in the digital domain, the essential Bacharach long-players: Hit Maker! (1965), Reach Out (1967), Make It Easy on Yourself (1969), Butch Cassidy &amp; the Sundance Kid (1969), the self-titled Burt Bacharach (1971), Living Together (1973), the rarely heard In Concert (1974), Futures (1977), and Woman (1979) are available. And the icing on the entire affair is the host of previously unreleased gems from deep within the A&M Records vaults, as well as from Bacharach's own archive. It is fascinating to hear the treatments given to "Are You There (With Another Girl)," "What the World Needs Now Is Love," "The Look of Love," "A House Is Not a Home," "I Say a Little Prayer," "Message to Michael," "Promises, Promises," "I'll Never Fall in Love Again," "Make It Easy on Yourself," "Do You Know the Way to San Jose," "This Guy's in Love with You," "(They Long to Be) Close to You," "Wives and Lovers" and "One Less Bell to Answer" (just to name a few) as interpreted by their creator. Perhaps as a testament to the completeness of the compositions themselves, Bacharach's orchestrations are often as full of subtle textures as the more familiar hit versions. 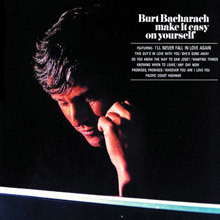 For the most compelling evidence of that phenomenon, listeners should treat themselves to the 15 tracks originally featured on the U.K. import Burt Bacharach in Concert (1974). The coupling of "Alfie," with "Do You Know the Way to San Jose," as well as the medley of "Don't Make Me Over," "Anyone Who Had a Heart," "What's New Pussycat," "Wives and Lovers, and "24 Hours from Tulsa" are, as the saying goes, worth the price of admission alone. The fifth and final disc -- subtitled "Essentials" -- is of equal significance as it contains a few one-off curios -- all of which were at the very least produced by Bacharach. Of primary interest are the never-before-issued alternate mono mix of "Saturday Sunshine" circa the aforementioned Hit Maker! : Burt Bacharach Plays His Hits (1965), a Joel Grey-sung "What's New Pussycat," "My Little Red Book (All I Do Is Talk About You)," with Tony Middleton (vocals), "After the Fox," and "The Fox Trot" both credited to Burt Bacharach & His Orchestra. Plus, "Nikki," and "Juanita's Place" by the Burt Bacharach Orchestra &amp; Chorus. The set concludes with three soundtrack sides from the 1980s, "Arthur's Theme (Best That You Can Do)," "That's What Friends Are For," -- which was in the film Night Shift (1982) before becoming an international hit for the supergroup of Elton John, Dionne Warwick, Stevie Wonder, and Gladys Knight -- and the "Love Theme from Arthur" from Arthur 2: On The Rocks (1988). The entire affair is bound in a hardbound cloth casing and inside are 42 pages of notes including tributes from Richard Carpenter and producer Phil Ramone. Collectors take note as Something Big is limited to an edition of only 5,000. Where the 1967 film Valley of the Dolls had a terrific Dionne Warwick classic in the title track (the biggest of her first 22 Top 40 hits), the reuniting of producer/arranger Burt Bacharach with lyricist Hal David and vocalist Warwick is about as memorable as this biographical film about Jacqueline Susanne, the author of Valley of the Dolls. One problem is failing to utilize the film's star, Bette Midler, on any of the songs here, proving how essential that diva is to both sides of the movie-making experience. Even dialogue from the motion picture would have given this endless middle-of-the-road loop something to hold onto. It sounds like all involved showed up to get their paychecks, manufactured the music off of an assembly line, and maybe had some fun reminiscing about the really great work they all did once upon a time. The album opens up with Warwick singing "On My Way," a nice enough performance with lyrics that -- if not flavored by "Valley of the Dolls" -- sound like they are outtakes from that epic title song over a melody with little staying power. At 13 tracks into the CD, the tune is reprised inside something called "The Book Tour," an instrumental minute and ten seconds before Warwick comes back in with the "Somewhere I will find me a new love" lyric and some mellow Tom Scott sax work. Though Hal David is credited with co-writing all 17 compositions, only two have his words, with Vanessa Williams getting to sound like her "Save the Best for Last" self on "Open Your Heart." There's an interesting theft of the melody lines from "The Look of Love," the 1967 hit from the James Bond film Casino Royale, dipping in and out of "Sexual Me, Sexual You." Too bad they just didn't have Midler sing that Dusty Springfield/Sergio Mendes/Warwick classic. But look at the bright side: The entire 39 minutes and 15 seconds make for good background music. One can stare at the pictures of Bette Midler and Nathan Lane in the eight-page booklet that even includes an ad for the soundtrack to Valley of the Dolls or do some housecleaning while this pleasant exercise spins. A waste of resources. At This Time is an album by American pianist, composer and music producer Burt Bacharach, released in 2005 through Columbia. Guests that appear on the album include Elvis Costello and Rufus Wainwright. In 2006, the album won Bacharach the Grammy Award for Best Pop Instrumental Album. 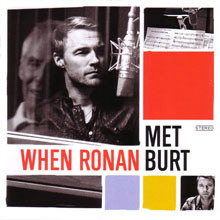 When Ronan Met Burt is the eighth studio album by Irish singer-songwriter and Boyzone frontman Ronan Keating. It was produced and composed by Burt Bacharach. The album sold 200,000 copies in the UK. 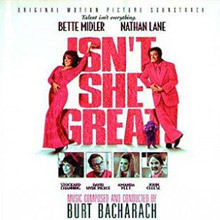 Backed by a full orchestra, all the tracks featured are classics composed by Burt over the course of his fifty-year career and include instantly recognisable hits such as "Walk on By", "The Look of Love", "What the World Needs Now Is Love" and "I Just Don't Know What to Do with Myself". All the tracks were recorded live with a full orchestra. In a promotional video, Keating admitted that he was intimidated by the prospect of working with Burt Bacharach, although he found the experience both exciting and energising. Keating also said that he found the songs far more complicated than they first appeared. He said: "It sounds so simple because that is the incredible ability that Burt has ... to create these songs that sound so simple ... but you try to sing them! Properly sing them! They are some of the hardest songs you'll ever sing." Bacharach is quoted on the same video, acknowledging that his music can be complicated but complimenting Keating for his dedication and professionalism. Keating promoted the album on 22 March on BBC Breakfast, 23 March on This Morning, 24 March on QVC, 26 March on Celebrity Juice, 27 March on This Morning, 28 March on Something for the Weekend, 29 March on The Alan Titchmarsh Show and 30 March on The National Lottery Results.